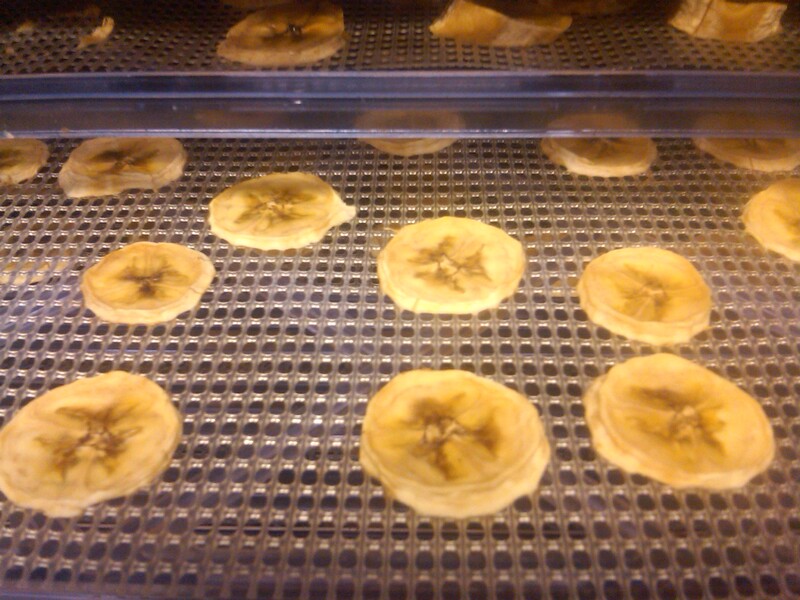 I love my dehydrator, every time I use it, I love it more and more. I have had a Nesco one, but for the last few years have had an Excaliber. We have used it primarily until this year for deer jerky. As I delve into more food preservation, I have been able to use it for leftovers, cheap buys on marked down produce and garden abundance! 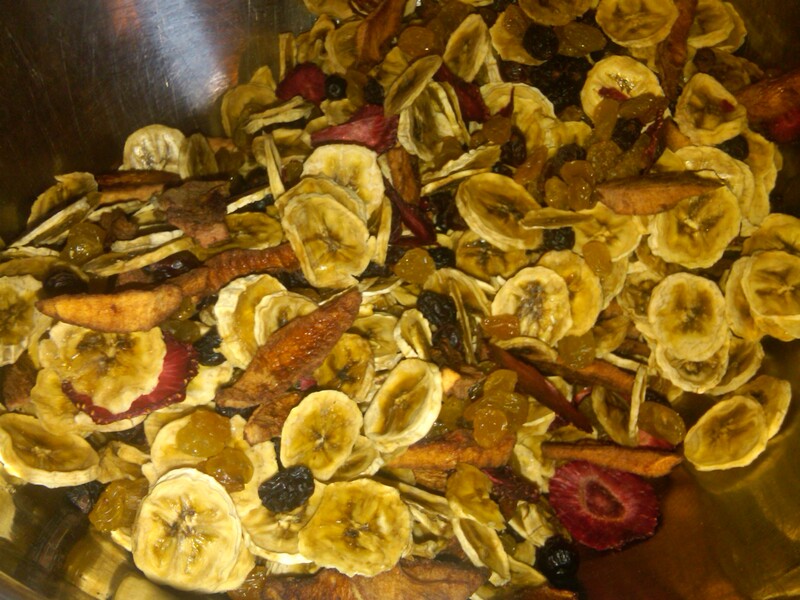 Here is us – making our own fruit mix for vacation! 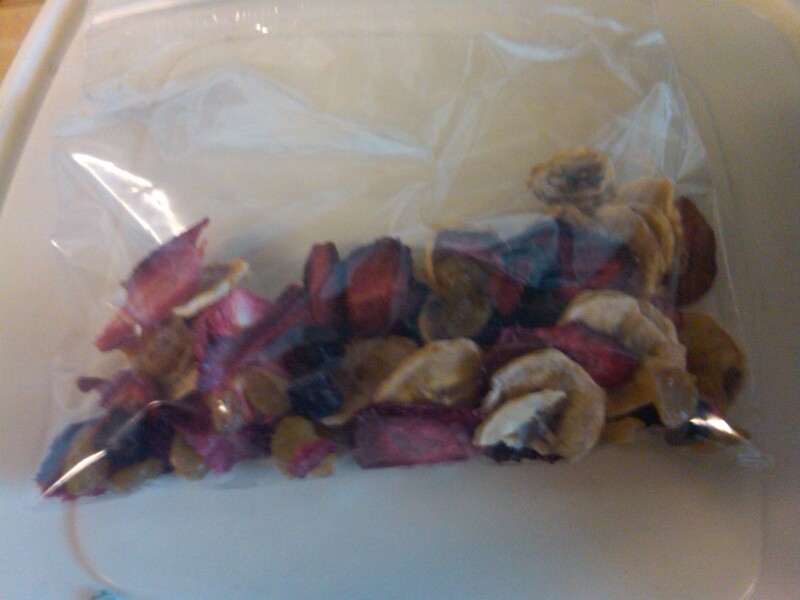 This is banana chips, strawberry pcs., apple chunks (those got a little too brown, but tasted great!) and then I added raisins and dried organic cranberries. We had these on our route and they were delicious! 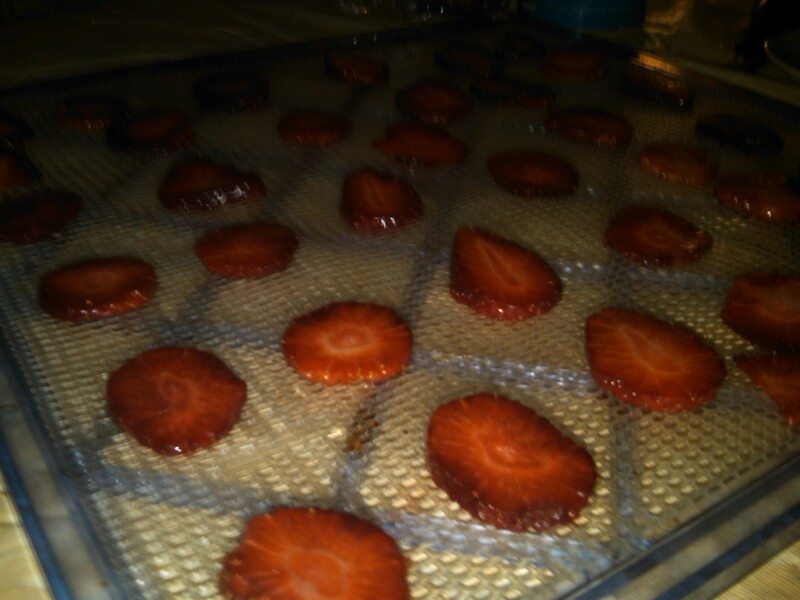 This entry was posted in Uncategorized and tagged Dehydrating, food preservation, Gardens, Her POV by familyplushomestead. Bookmark the permalink. I used to make mixes like that, but I added oats and coconut. Sometimes chocolate chips, too. Yummy!